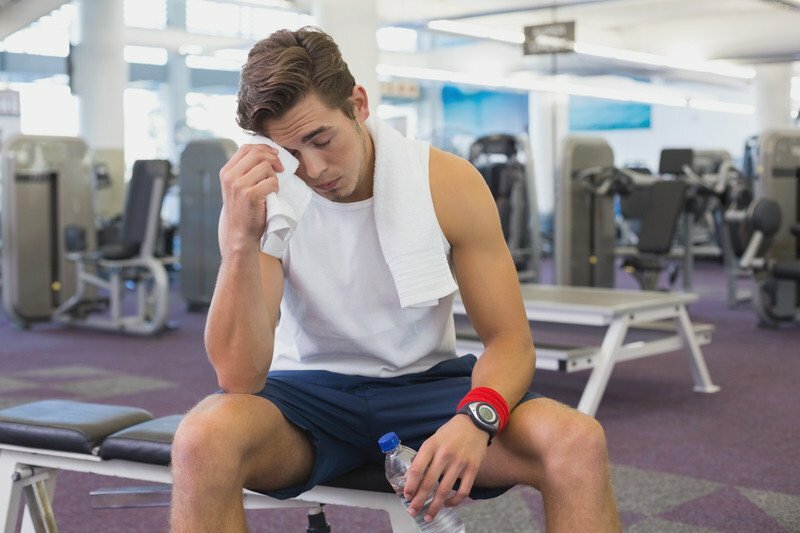 Most men are used to their doctor asking if they are getting enough exercise in their weekly routine, but you're probably not aware that in some cases of male infertility, exercise – or, more specifically, too much exercise – may actually be to blame. First, we want to make it clear that we are not discouraging anyone from continuing their exercise routine. Exercising several times each week is usually advised in order to stay active and maintain a healthy weight and body mass index (BMI). Additionally, it should be noted that a lack of exercise can also be to blame for fertility issues – especially if you are overweight. The key is to find a healthy balance between moderate exercise that keeps you healthy and intense, long-term activities that may negatively affect your ability to conceive. How can exercise hurt my fertility? If you are overweight and in need of exercise, then your fertility may be at risk, and the same goes for those who are underweight. If a man is too thin, he can experience a low sperm count, which can cause either difficulty conceiving or require fertility treatment in order to have a baby. When exercise is excessive or very intense, your sperm count can also become lowered as a result of a decrease in testosterone. Additionally, at this point, many men are also familiar with the fact that steroids, which are used to aid in muscle building, are also harmful to fertility in that they can actually shrink the size of a man's testicles – which, of course, will not aid in conception. What can I do to protect my fertility while working out? If you are concerned that your workout routine may be affecting your fertility, it's important that you speak with your doctor, who will recommend a more moderate routine that protects against low sperm count and testosterone loss. Most men find that simply decreasing the intensity and frequency of certain exercises can go a long way toward maintaining a normal sperm count, without risking inactivity or weight gain. What are good lifestyle habits to protect fertility? Male fertility is connected to a man's overall health. If a man smokes, drinks heavily, uses drugs or is inactive, his fertility will suffer. Men who engage in unhealthy lifestyles are more prone to infertility than men who practice good health habits. Of course, this does not mean that lifestyle habits alone are the only contributing factor to infertility. Sometimes an underlying health issue may be present. If you have been trying to conceive for six months to a year with no success, then we suggest contacting a fertility specialist in order to discuss your options.